Neil Rector is an old friend who followed a different path from most of us. Years ago, he made the decision to focus on collecting art. It’s fair to say that he is an avid collector, and an extremely capable one as well. Since he first dipped his toe into the world of collecting, he’s assembled six discrete collections of different types of art from different periods and places — and his collections have curators clamoring for pieces as they assemble new shows. 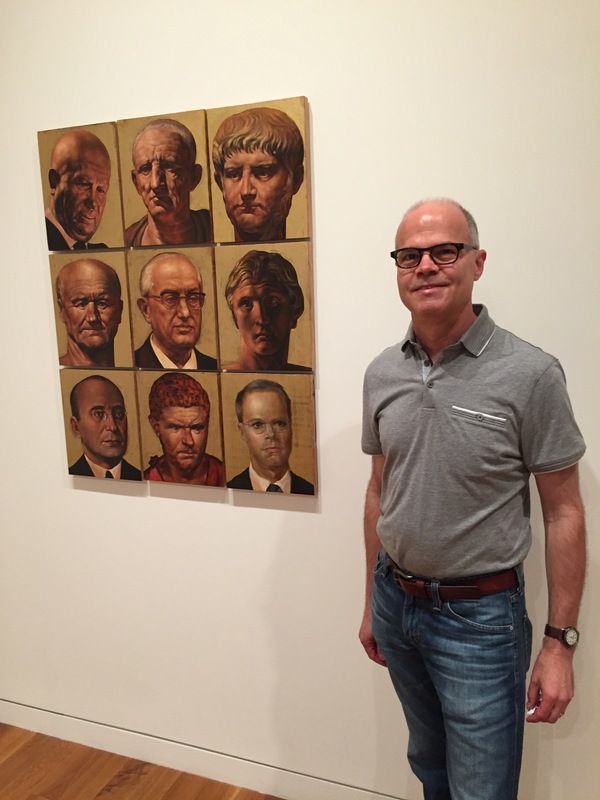 Two of Neil’s collections are of Soviet-era photography and Russian unofficial art, and parts of those collections — but only parts — have been assembled in a stupendous show at the Columbus Museum of Art called Red Horizon. 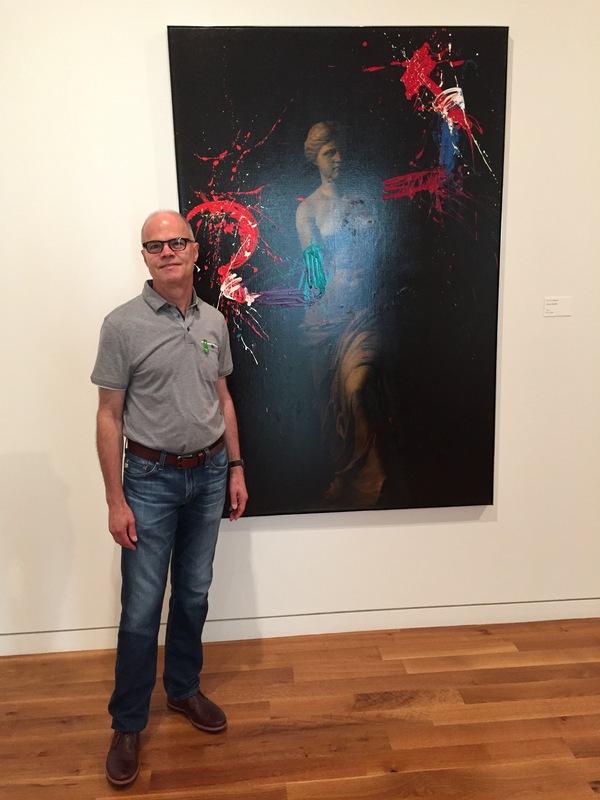 It’s clearly one of the best exhibitions at the CMA in years, and today Kish and I were part of a group that got to walk through the exhibition with Neil to hear his personal reflections on the pieces, which was very interesting. The show itself is fascinating, giving the visitor a peek behind the Iron Curtain at art, and thoughts and perspectives, that were forbidden during the Soviet regime but nevertheless were realized — because the artistic impulse simply can’t be totally quashed, no matter how repressive a government might be. I can’t begin to capture what Neil described this morning, so I can only urge you to visit this powerhouse exhibition and enjoy it. And you can also reflect on what being a savvy collector might mean. In Neil’s case it means having that terrific hammer-and-sickle riff on a Soviet style Venus de Milo, below, hanging in your dining room, and also having yourself memorialized in that collection of portraits of Soviet and ancient Roman tyrants, above. That’s Neil in the lower right, in his best Soviet-style guise. He was added to the piece, he explained, because artists view collectors and patrons as tyrants, too. Go see Red Horizon. It’s at the CMA through September 24. It’s another beautiful Sunday morning, and the bright, uncommonly temperate weather can’t help but stimulate the appetite and put thoughts of Sunday breakfast in my head. But, since another episode of Game of Thrones is in the offing, what kind of breakfast could help to stimulate a Westerosi mindset as well? Our local grocer doesn’t sell wild boar meat or unskinned rabbit, so a little improvisation is in order. 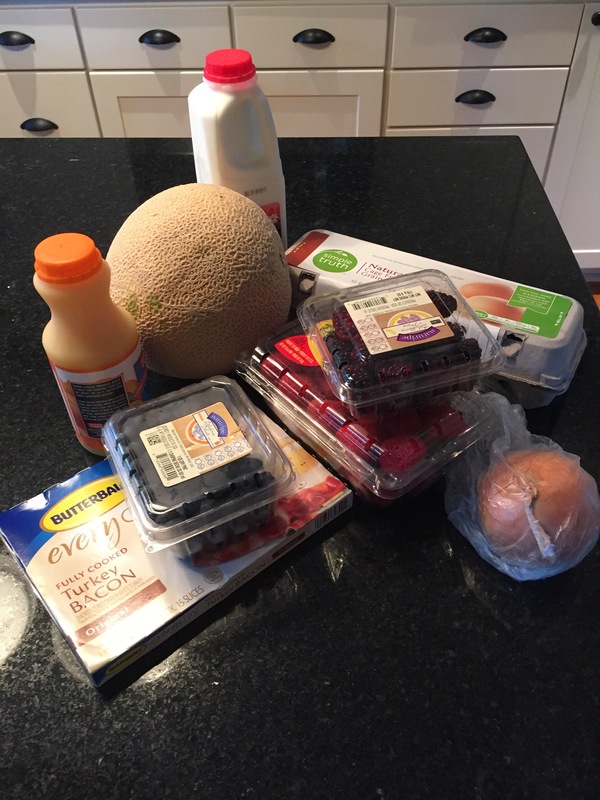 We’ll go for eggs and turkey bacon — the better to remind us of those unfortunate dragon-sizzled Lannister bannermen — some juicy fruit to simulate rivers of blood, and a cantaloupe that will allow me to get out a sharp implement and start flailing away with some satisfying thunks and hackings as I separate flesh from skin. Put some onion in the eggs to acknowledge Ser Davos Seaworth, the Onion Knight, and you’ve got a feast worthy of Winterfell.